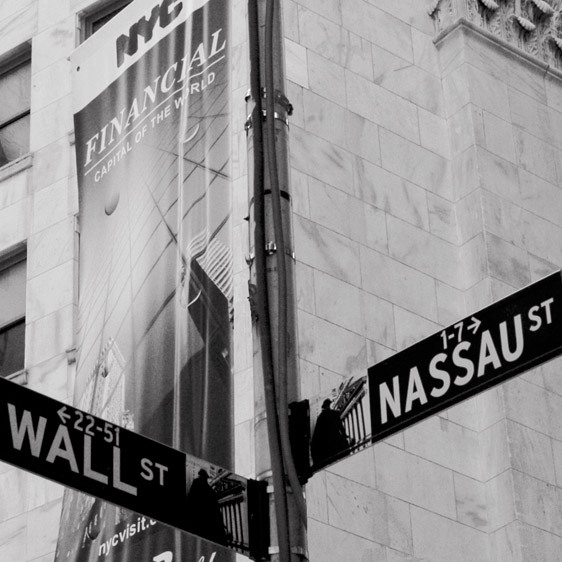 Wall Street may not be the most popular institution in American culture at the moment. 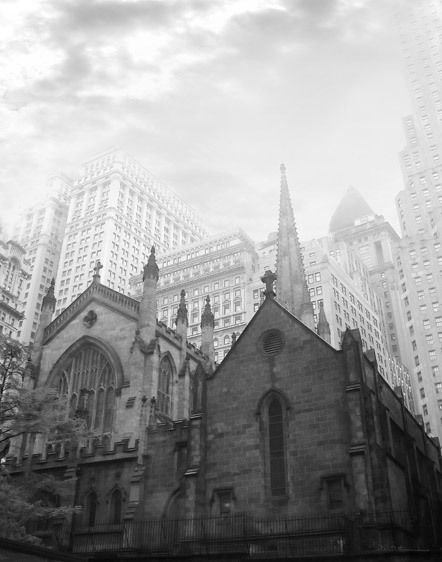 With the effects of the Great Recession still hindering the progress of a large population in this country, there are probably more people wanting to occupy Wall Street than to glorify it. 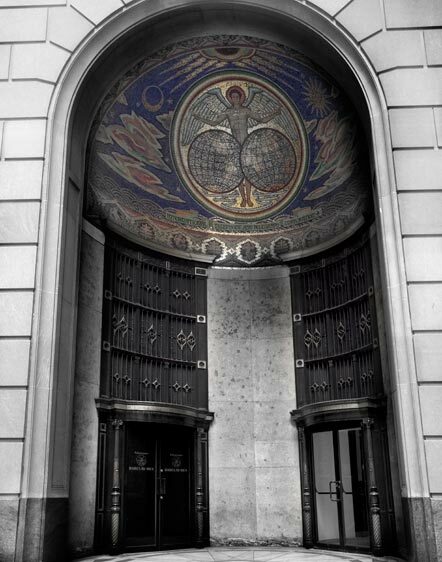 Veteran photographer, Ellen Fisch’s new photo exhibit, “Wall Street”, at the Jadite Galleries sheds light on the beauty of the architecture of lower Manhattan and hopefully breaks through the image of corruption that is currently associated with the financial capital of the world. Fisch’s photography captures the glamour and elegance of her subjects. The viewer is able to inspect the amazing metalwork of the architectural designs. Her work also examines the use of both cherubs and gargoyles that emphasizes the juxtaposition of the light and dark aspects of the world of commerce. For some observers, Wall Street is the embodiment of greed and for others it is a symbol of the American Dream of upward mobility. Fisch’s “Wall Street” doesn’t take a clear position in the debate. It is ultimately a virtual walk into the past while attempting to provide hope for the future. The images in Fisch’s exhibition focus on the architectural aesthetic influenced by the Gilded Age. Many social critics have named the last several decades in American history the “New Gilded Age.” The correlation to the original Gilded Age of the late 19th century is uncanny. Like the period of the 1870’s-1890’s, the past 30 years was a time when wealth at the top skyrocketed creating systematic financial inequality, and ultimately ended with a disastrous economic downturn. But the original Gilded Age was also an era that led to amazing innovation in art and design. 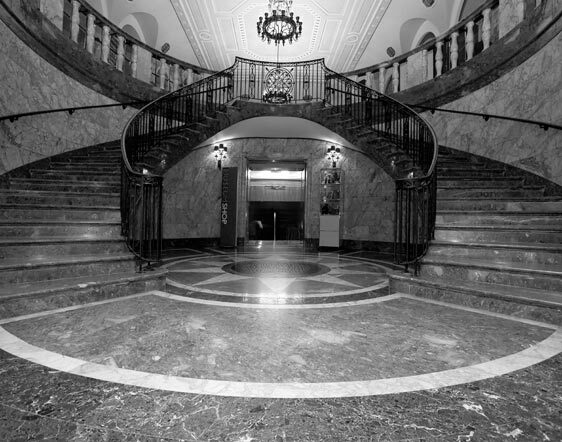 The crash of the Gilded Age coincided with the birth of Beaux-Arts architecture and eventually transferred to the popular French art nouveau and deco styles of the early 1900’s which heavily influenced the designs of turn of the century buildings in New York including those located near Wall Street. English novelist, Charles Dickens, is quoted as saying, “suffering has been stronger than all other teaching, and has taught me to understand what your heart used to be. I have been bent and broken, but, I hope into a better shape.” While the exploits of the new American Gilded Age has led to a lot suffering, Fisch’s new exhibition reminds those that endure through enormous pain that true inspiration from innovative art and design is a real hopeful possibility. For more information click it.